The Creative minds behind 28 Aberdeen St.
*Photos 1, 2 and 3 were taken on 8 March 2018 at Duplex on 2nd floor of the Development, photos 4 and 5 were taken on 21 November 2017 at the residential tower lobby of the Development, which have been edited and processed with computerised imaging techniques. These photos and their contents are for reference only and do not constitute any representation or warranty in any form. 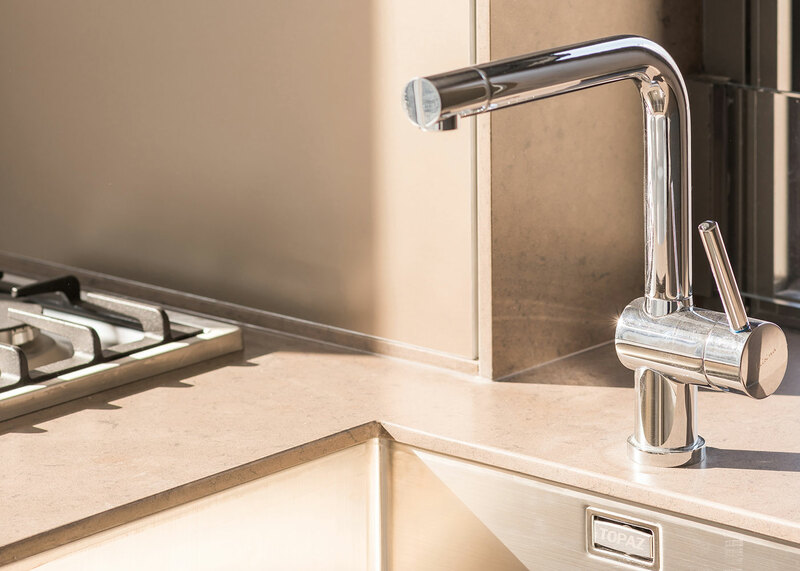 Please refer to the Sales Brochure for details of the Development and the fittings, finishes and appliances to be included in the residential units at the Development. Contents in the Sales Brochure shall prevail under all circumstances. Photo 4 displays a conceptual design drawing of the Development and has been edited and processed with computerised imaging techniques. Such image and its contents are for reference only and do not constitute any representation or warranty in any form. Contents in the Sales Brochure shall prevail under all circumstances. This 360 degree view is generated from series of images taken on 26 May 2017 at Flat North on 20th floor of the Development and has been edited and processed with computerised imaging techniques. This 360 degree view does not constitute any warranty or representations of the fittings, finishes and appliances in the unit and/or any views shown outside the windows of any residential units at the Development. Such images and their contents are for reference only and no representation or warranty in any form is provided as to their existence. The buildings and views shown in these images may be subject to change from time to time. Contents in the Sales Brochure shall prevail under all circumstances. These images were not taken at the Development and do not form part of the Development. The design, materials, décor and other items as shown therein may not necessarily appear in the Development or in its vicinity. Such images and their contents are for reference only and no representation or warranty in any form is provided as to their existence. Contents in the Sales Brochure shall prevail under all circumstances. The location map above has been simplified, is not to scale and is for reference only and no warranty or representation in any form is provided as to their accuracy or existence. It is computerised or modified and has highlighted some streets and buildings in the surrounding area of the Development only with other streets and buildings omitted. The highlighted facilities are operated by third parties and may not necessarily appear in the vicinity of the Development and are subject to change. The Vendor also advises prospective purchasers to conduct an on-site visit for a better understanding of the development site, its surrounding environment and the public facilities nearby. Contents in the Sales Brochure shall prevail under all circumstances. This image displays a conceptual design drawing of the Development and has been edited and processed with computerised imaging techniques. The Vendor reserves all rights to make changes to the Development and the residential properties therein, and the design, materials, décor and other items thereof as shown in this image. The design, materials, décor and other items as shown in the image may not necessarily appear in the Development. Such image and its contents are for reference only and no representation or warranty in any form is provided as to their existence. Contents in the Sales Brochure shall prevail under all circumstances. This image was not taken at the Development and does not form part of the Development. The design, materials, décor and other items as shown therein may not necessarily appear in the Development or in its vicinity. Such image and its contents are for reference only and no representation or warranty in any form is provided as to their existence. Contents in the Sales Brochure shall prevail under all circumstances. 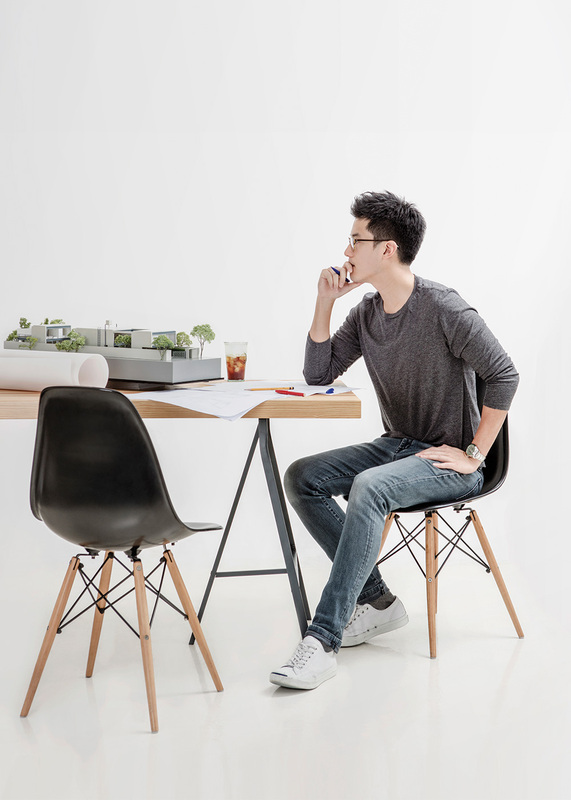 Wong & Ouyang has a philosophy of designing timeless architectural masterpieces that stands apart from the conventionality available in the market. 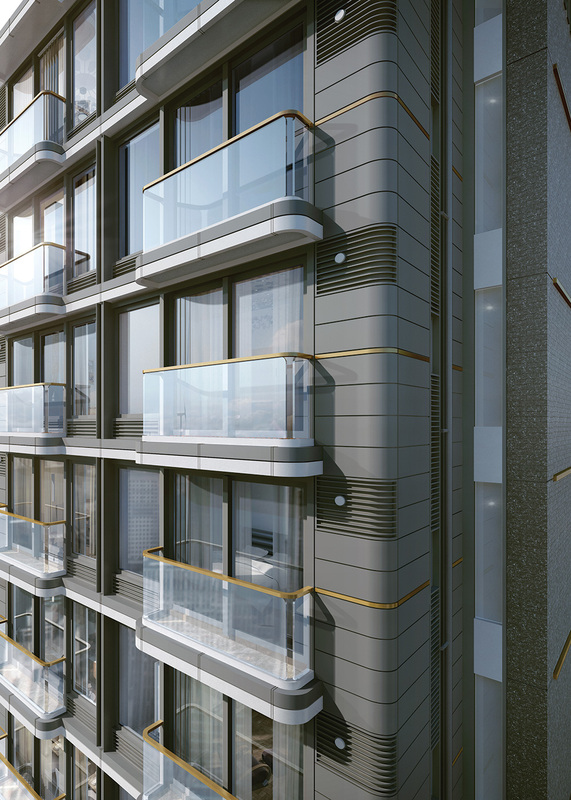 To achieve this they offer a wealth of detail from soft edged aluminium cladding on the facade to the anodised bronze ribbon that gives a rich appearance to the building. This attention to detail and materiality has created a building that stands apart from the surrounding structures. These photos were taken on 27 May 2017 at Flat North on 20th floor of the Development and has been edited and processed with computerised imaging techniques. 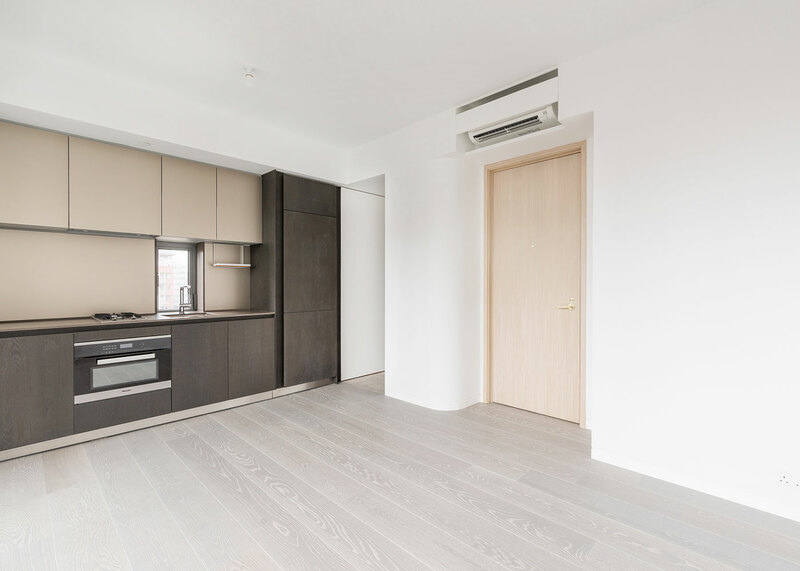 These photos do not constitute any warranty or representations of the fittings, finishes and appliances in the unit or the Development and/or any views shown outside the windows of any residential units at the Development. Such photos and their contents are for reference only and no representation or warranty in any form is provided as to their existence. The buildings and views shown in these photos may be subject to change from time to time. Contents in the Sales Brochure shall prevail under all circumstances. The user experience is an equally important aspect that we focused on. Comfort and lifestyle is placed at the centre of the design. 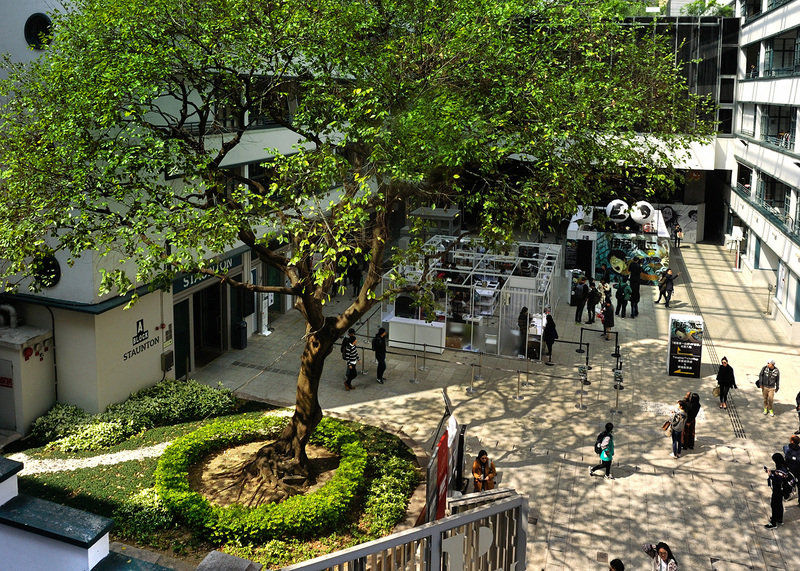 We have created an oasis amidst the hustle and bustle in one of Hong Kong’s most exciting neighbourhood. Once you enter the building, you will be transported to a serene light filled lobby space adjoining an internal courtyard designed by Adrian Norman. The courtyard is designed to draw natural light into a space filled with greenery, creating a calm and tranquil atmosphere. The lobby is furnished with warm natural materials to create a calm and soothing atmosphere. 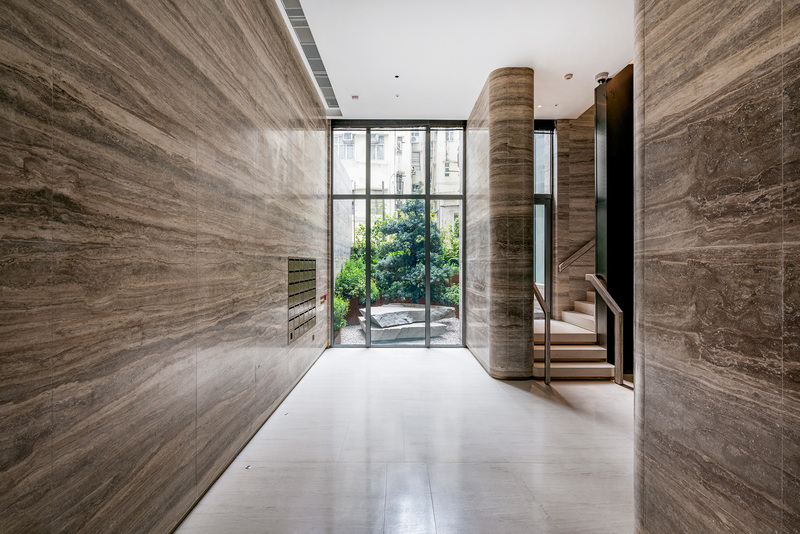 A light limestone floor is juxtaposed with travertine walls and columns with a subtle gradation pattern. 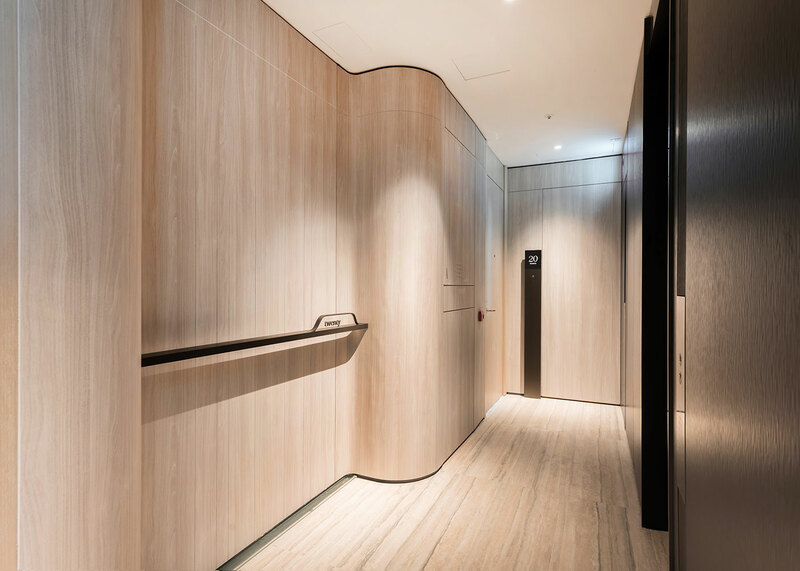 Walnut coloured walls wrap the lift interior with elegant bronze handrail echoes the external claddings. 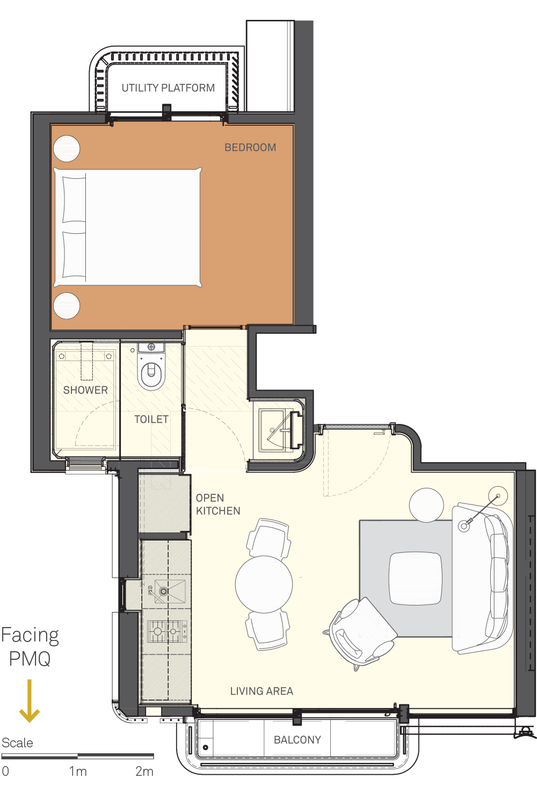 The distinctive apartment design is highly efficient and elevates the quality of living. We created a unique floor plan that distinguishes between entertainment and resting space that offers flexibility to the owner and the guests. 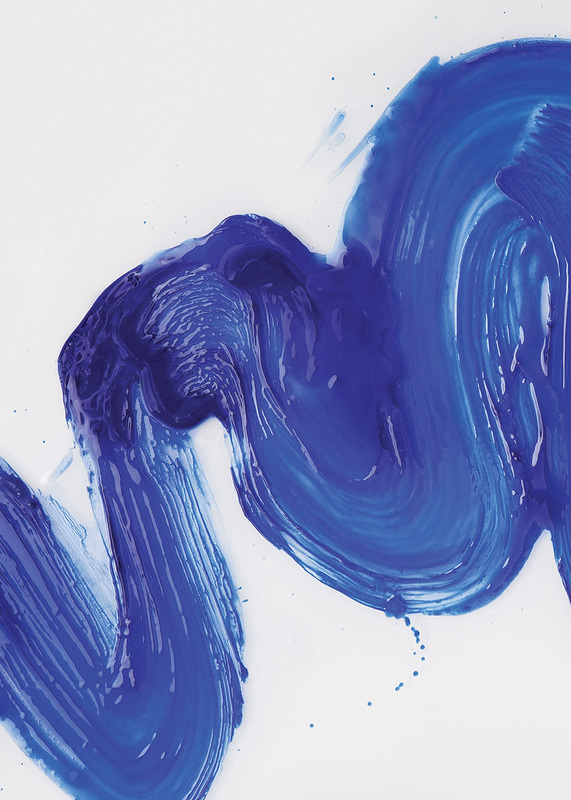 The finest finishing materials have been selected to create a relaxed and comfortable atmosphere. The bathroom is a key element in the apartment. It stands between the living space and bedroom, providing a physical and acoustic separation between the two areas. A pivot door has been devised to allow the user to transform the bathroom space into a transitional space. Ample natural light is brought into this space by a floor to ceiling window with opaque glass. Coupled with the light-coloured-marble finishes, the bathroom has never been such a pleasant space to dwell in. 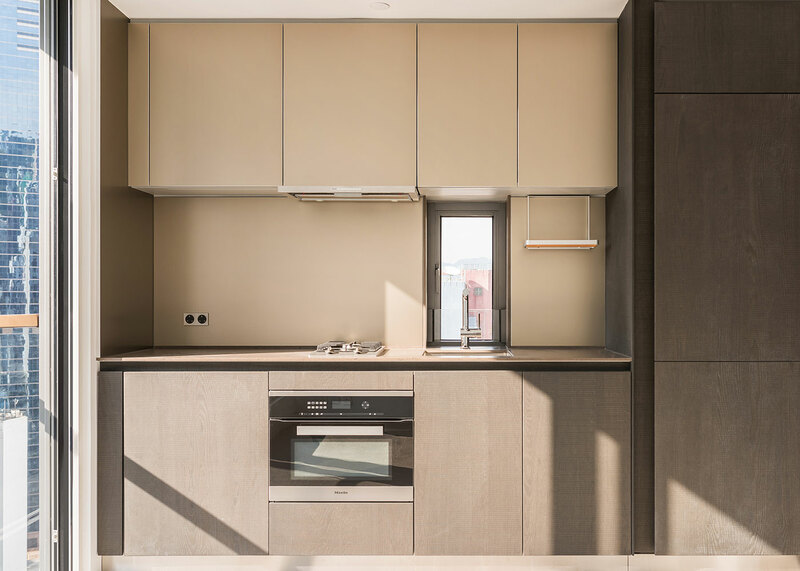 For the gourmets, a state of the art kitchen by Bulthaup is equipped with gas flame hobs and oven by Miele. It has been customized specifically for this project with an overarching principles of efficient use of space and attention to user experience. The beautiful kitchen is designed for serious cooking, and sits beautifully in the living space. *4/F, 14/F and 24/F are omitted. # The furniture is included for reference only and will not be included in the relevant specified residential property upon completion. Please refer to the fittings, finishes and applicances section of the Sales Brochure for details. 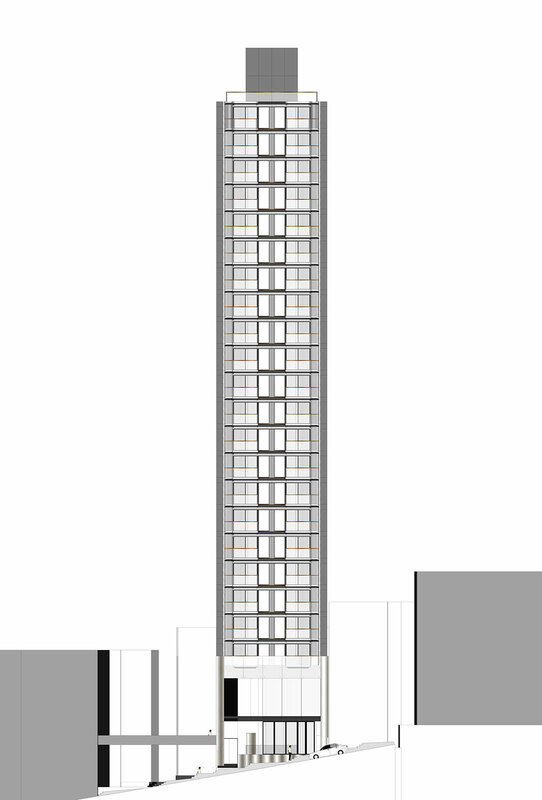 The floor to floor height of each residential property is: 2/F-3/F, 5/F-13/F, 15/F-22/F - 3.15m; 23/F - 3.4m*. The thickness of floor slabs (excluding plaster) of each residential floor is: 2/F Flat North - 300mm; 2/F Flat South - 150mm and 300mm; 3/F Flat North & South - 300mm; 5-13/F, 15-21/F Flat North & South - 300mm; 22/F Flat North & South - 300mm; 23/F Flat North & South - 150mm and 300mm. The internal areas of the residential properties on the upper floors will generally be slightly larger than those on the lower floors because of the reducing thickness of the structural walls on the upper floors. 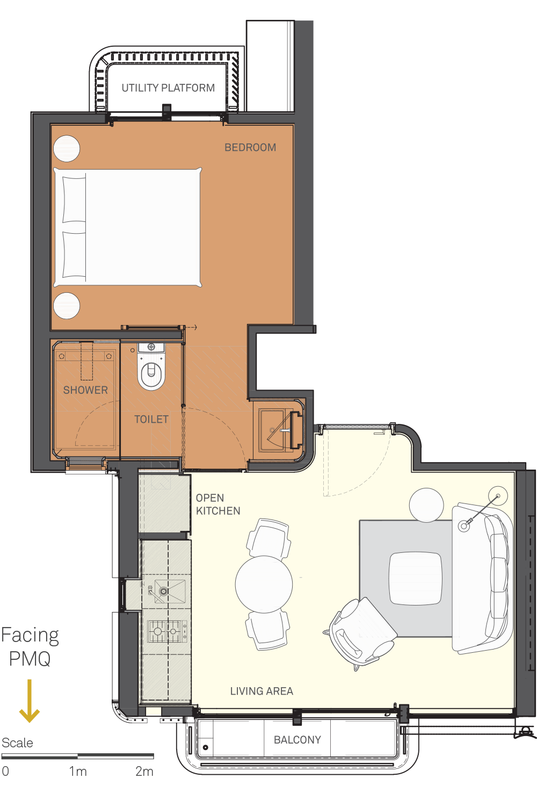 The dimensions in the floor plans are all structural dimensions in millimeter. 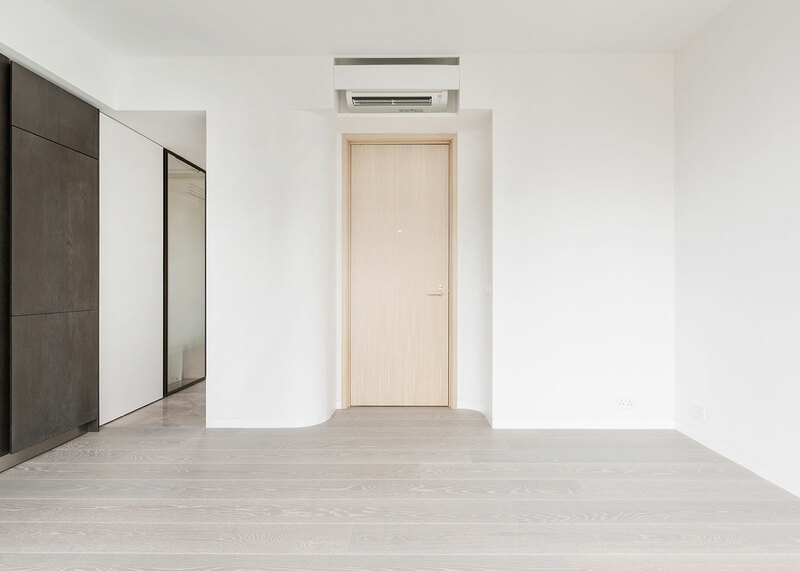 This furniture layout plan is for reference only, and no furniture will be included in the relevant specified residential property upon completion. The saleable area of the residential property and the floor area of balcony, utility platform and verandah (if any) are calculated in accordance with Section 8 of the Residential Properties (First-hand Sales) Ordinance; and the areas of the other specified items (not included in the saleable area) are calculated in accordance with Part 2 of Schedule 2 of the Residential Properties (Firsthand Sales) Ordinance. This photo was taken on 4 November 2016 on the roof floor of the Development. This image does not constitute any warranty or representations of any views shown outside the windows of any residential units at the Development. Such image and its contents are for reference only and no representation or warranty in any form is provided as to their existence. The buildings and views shown in this photo may be subject to change from time to time. Contents in the Sales Brochure shall prevail under all circumstances. This photo was taken on 11 February 2017 on the first floor of the Development. This image does not constitute any warranty or representations of any views shown outside the windows of any residential units at the Development. Such image and its contents are for reference only and no representation or warranty in any form is provided as to their existence. The buildings and views shown in this photo may be subject to change from time to time. Contents in the Sales Brochure shall prevail under all circumstances. The real estate developer has the responsibility to create work that stands for generations and have a lasting impact on the urban fabric. 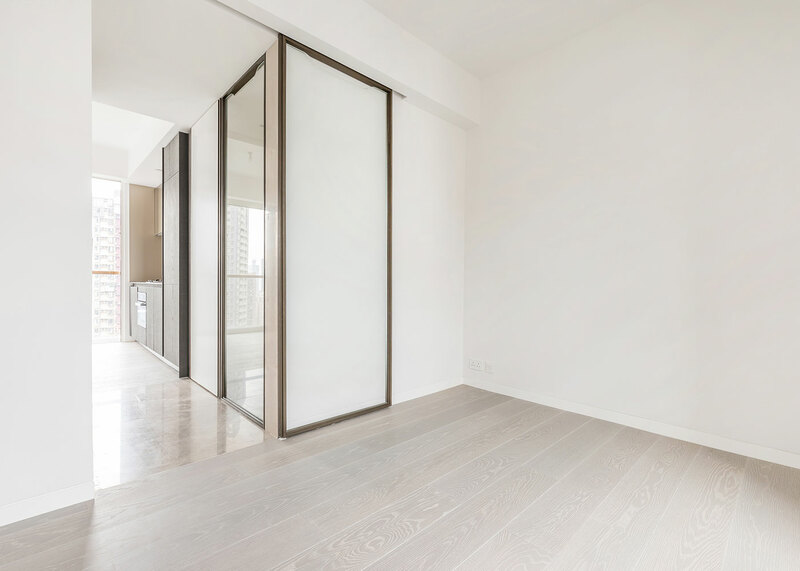 In shaping 28 Aberdeen St. we have taken this responsibility very seriously by trying to create a beautiful and functional space for the occupants wrapped in a building exterior with a simple calm aesthetic that will stand the test of time. For the purchasers it is ‘An investment for the Ages’. Our objective was very clear since the beginning, we set out to achieve a new benchmark for a living space with exceptional quality and functional design. 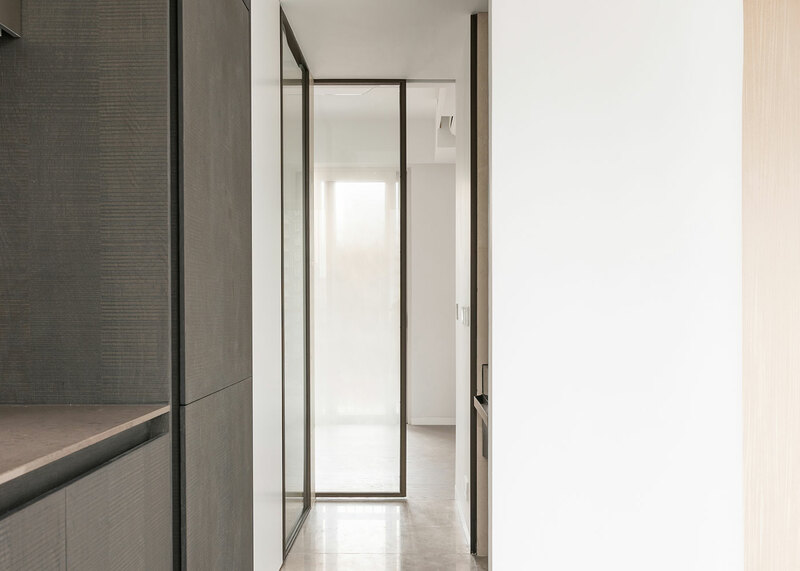 We embarked on a rigorous design and planning journey to surpass the traditional apartment formula in order to create a modern home with exquisite material and warmth. With the meticulous planning and craftsmanship invested in 28 Aberdeen St., I believed we have accomplished in creating an exceptional building that we are all proud of. 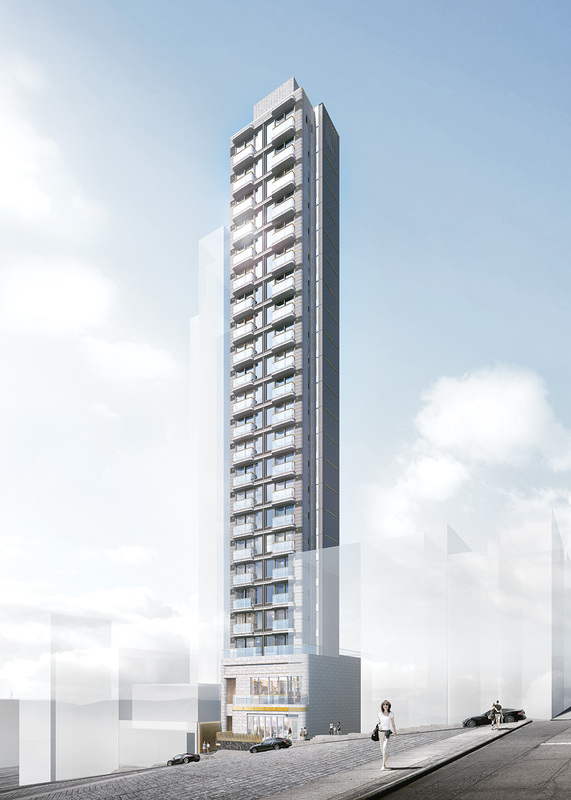 The design of 28 Aberdeen St. draws its inspiration from the fine grain urban texture of the District, with its proximity to PMQ, the art and cultural hub. The residential units are designed generally for single or double occupancy, to a very comfortable space standard. 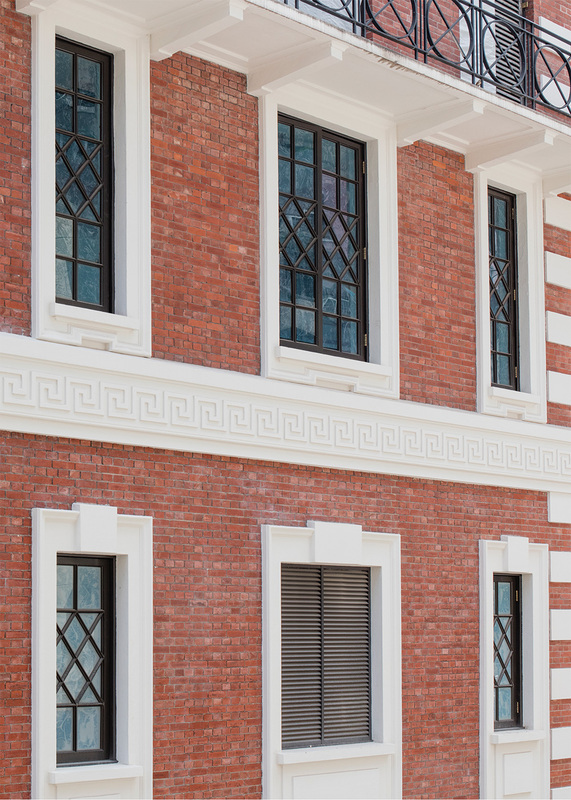 The delicate detailing on the façade, entry statement & amenity facility reflects the shared aspiration of the architect and the developer for a quality project. 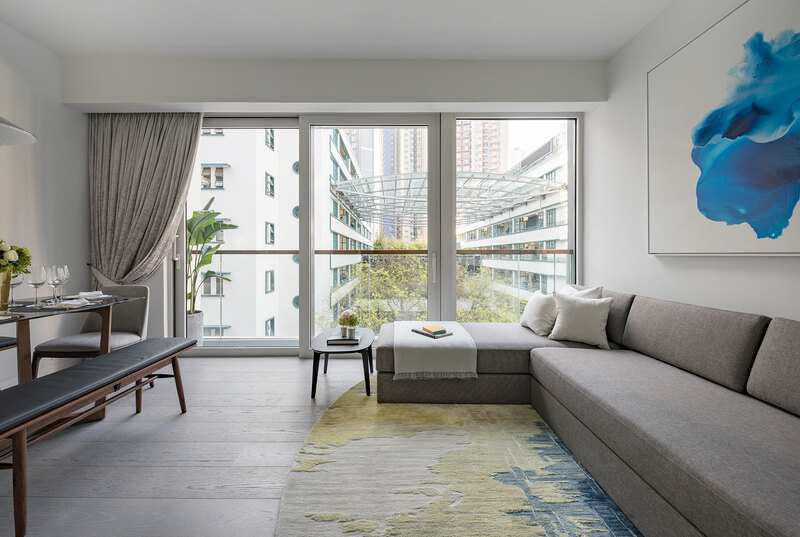 Rooted in its superb location and dynamic surroundings, the interior of 28 Aberdeen St. is created as an update to the "urban sanctuary" typology. Extending the sensual, curvilinear geometry of the architecture to the interiors, spatial fluidity is central to the design. 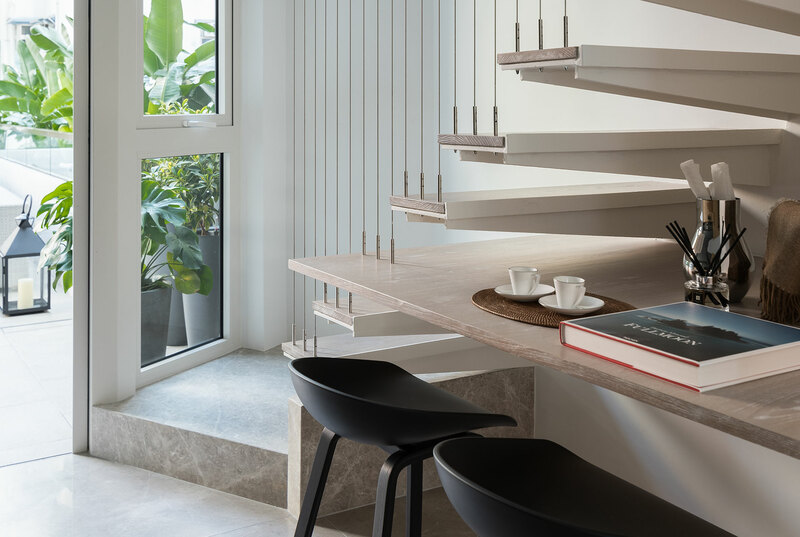 A palette of calm, subdued materials, shaped in a simple, modern language, combined with a restrained lighting ambience, the design highlights materiality and craftsmanship in an understated manner. 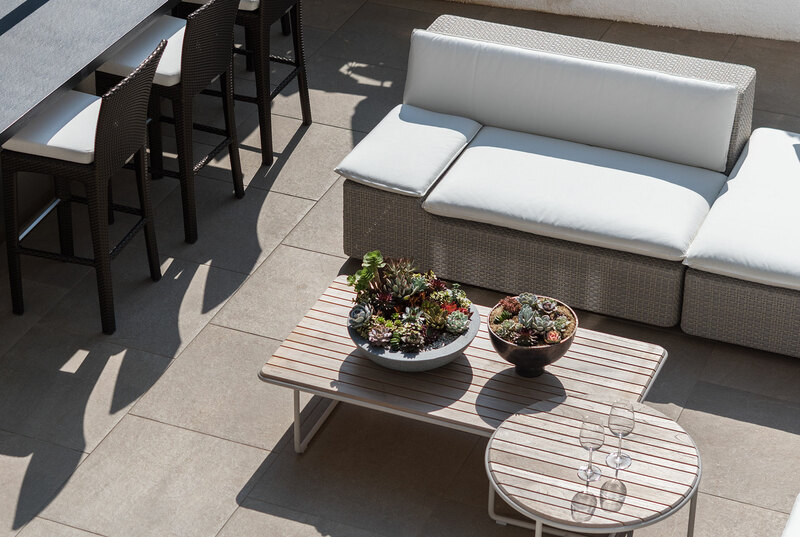 The courtyard space in 28 Aberdeen St. is placed on axis upon arrival and is designed to create a beautiful Zen-inspired composition with subtle landscape lighting. The landscape intentionally forms a curvilinear geometry as a counterpoint to the orthogonal arrangement of the interior space. The simple material palette comprises a sculptural Buddhist pine, stone sculpture by Izumi Masatoshi, curvilinear Corten steel planters and lush green groundcover planting to enclose and frame the space. 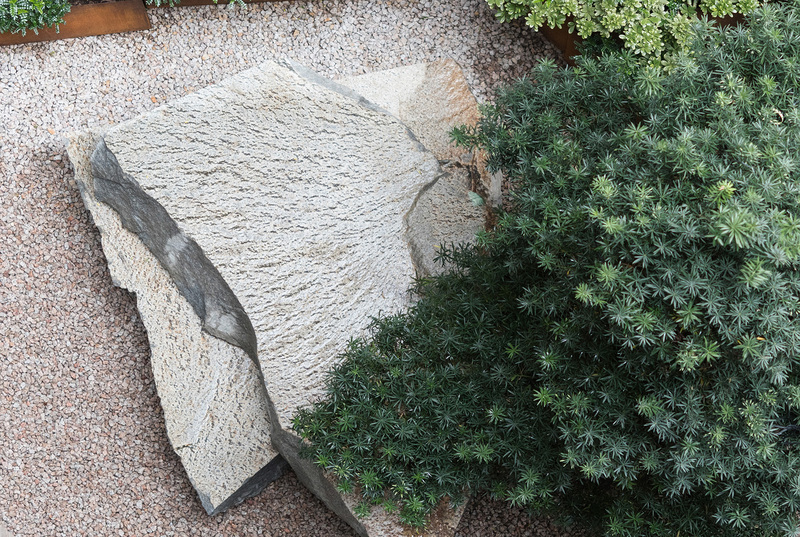 Within the setting of an elegant Buddhist pine tree and the beautiful approach, I have selected a clean Aji granite and made a simple cut. 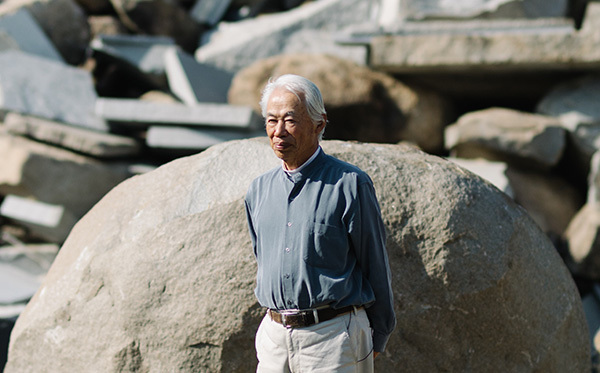 The unique hues on the stone resemble layers of clouds, which I call ‘Akane gumo’ (crimson clouds). 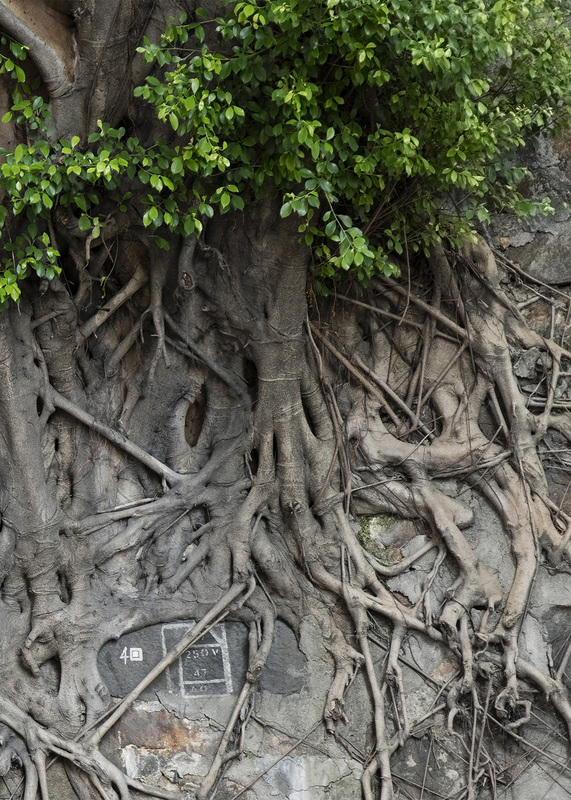 I want this texture of the stone to extend a feeling of warmth and gentleness and create a sense of home in 28 Aberdeen St. The grand stone creates a sense of balance and order with the wind and light in this beautiful space. I believe this stone will give people a sense of security, greeting you in the morning and welcoming you at night. 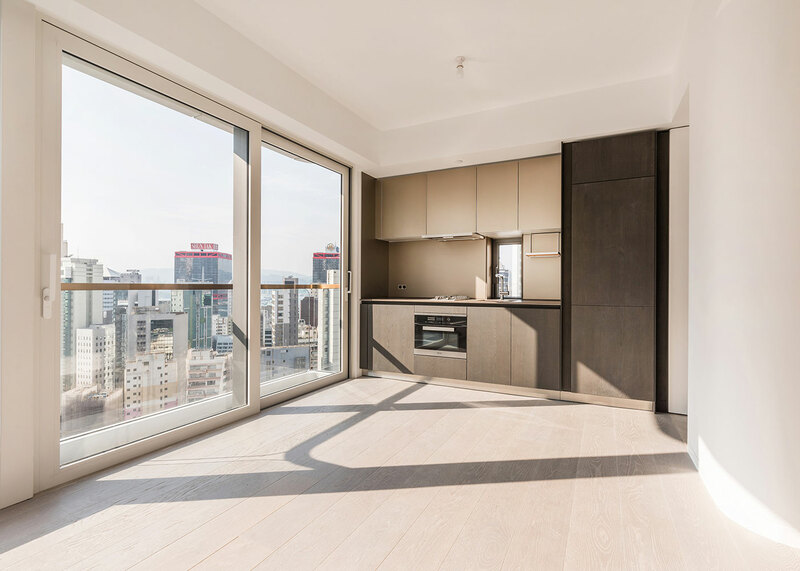 Located in the historic core of Central, Hong Kong, 28 Aberdeen St. is a brand new 23-storey residential building providing creatively designed units including a ground floor shop. The development is positioned to capture investors and end users alike due to its proximity to all major transportation nodes and accessibility to daily amenities. All units enjoy unobstructed city views overlooking the PMQ, a Grade III listed historic building. 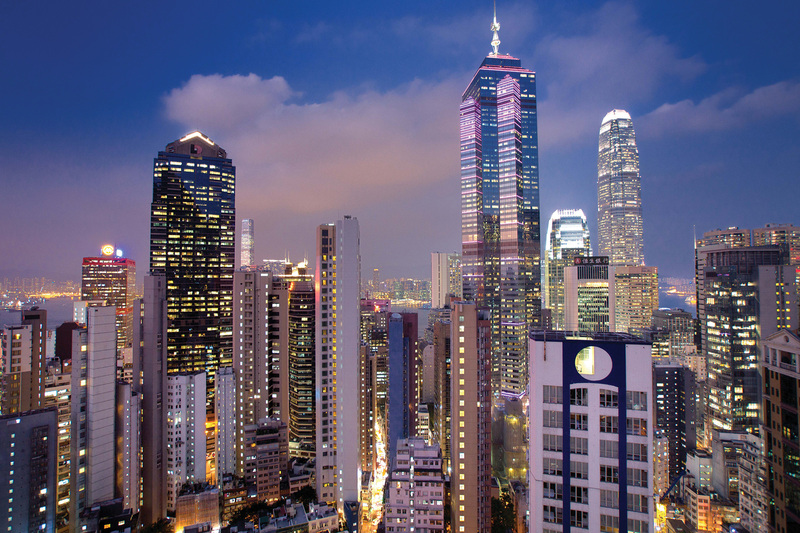 The Development Studio is a real estate developer based in Hong Kong, with a focus on residential and commercial properties. 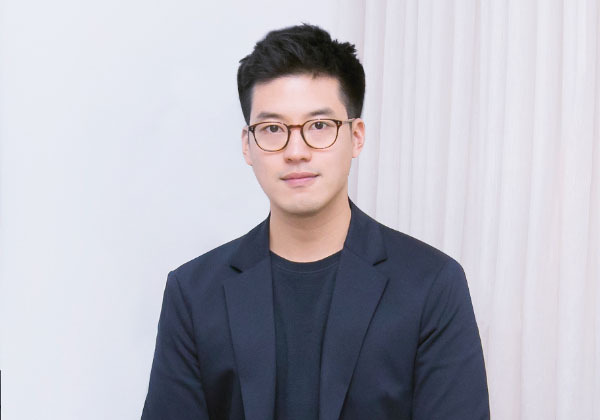 The team seeks to uncover niche opportunities with distinctive investment angles through judicious acquisitions and creative market positioning. 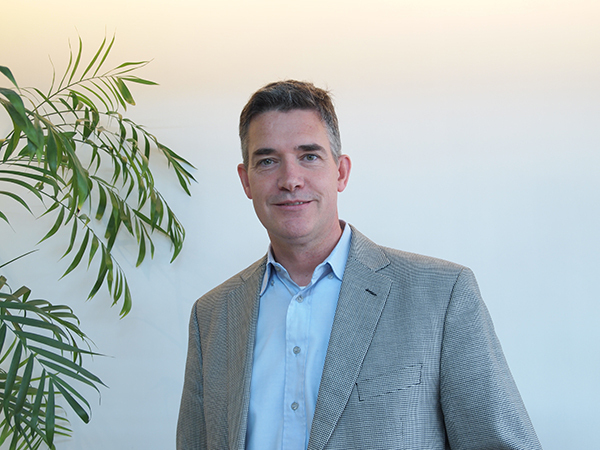 Keith Kerr formed The Development Studio in 2009 in order to share his extensive experience in real estate with a younger generation with a vision to create a ‘boutique’ development company focusing on a wide range of high quality residential and commercial projects. 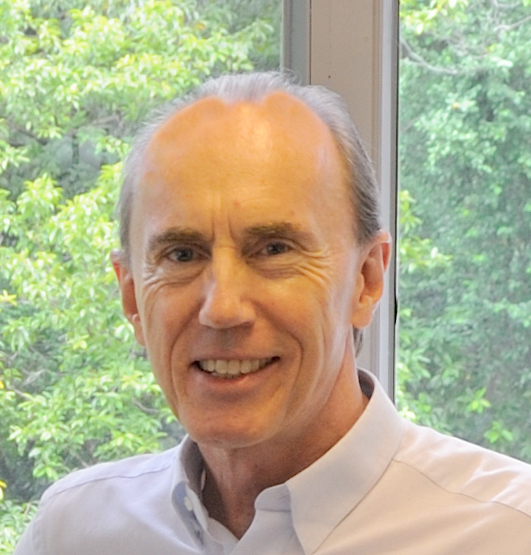 Prior to forming TDS, he spent 35 years at Swire Properties in Hong Kong, the last 20 years as CEO and Chairman. 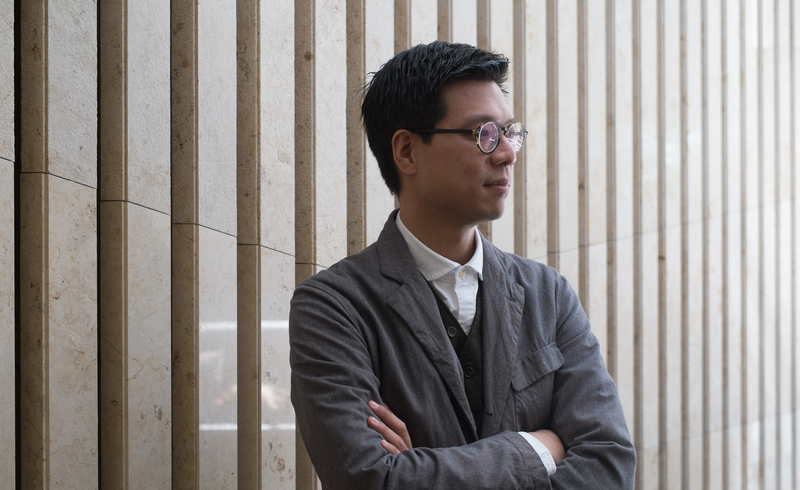 Projects developed during his tenure were Pacific Place, Festival Walk, the Taikoo Place campus comprising 13 office buildings culminating in the 150,000 m² One Island East as well as a wide range of residential projects. 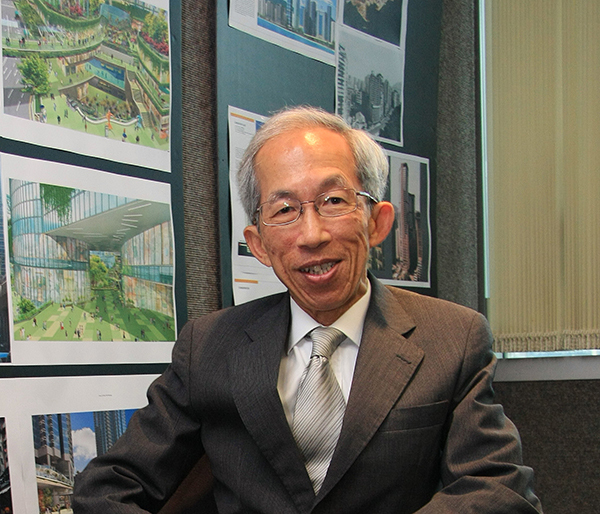 Projects initiated in Mainland China during his tenure include the Taikoo Hui mixed use development in Guangzhou, Taikoo Li Sanlitun in Beijing (incorporating The Opposite House hotel), Indigo in the Jiang Tai area of Beijing and the prime mixeduse joint venture project with Hong Kong Resorts, HKRI Taikoo Hui, in the Puxi district of Shanghai. He is President of the Real Estate Developers Association of Hong Kong and Non-Executive Chairman of Grosvenor Asia Pacific. The contents of this website (www.28AberdeenSt.hk) are published by the vendor or under the consent of the vendor. Please refer to the sales brochure for details. The photographs, images, drawings or sketches shown in this advertisement/promotional material represent an artist’s impression of the Development concerned only. They are not drawn to scale and/or may have been edited and processed with computerized imaging techniques. Prospective purchasers should make reference to the sales brochure for details of the Development. The vendor also advises prospective purchasers to conduct an on-site visit for a better understanding of the Development site, its surrounding environment and the public facilities nearby. Please be informed that no hypertext links to this website may be made without prior written approval from The Development Studio Ltd. In respect of any third-party websites referred to or accessed by hypertext link through this website approved by The Development Studio Ltd, the copyright of the contents of such third-party websites shall belong to their respective owners. You are advised to obtain the opinion of such respective owners before using and/or copying the contents of their websites. The material contained in this website has been produced by The Development Studio Ltd. in accordance with its current practices and policies and with the benefit of information currently available to it, and all reasonable efforts have been made to ensure the accuracy of the contents of the pages of the website at the time of preparation. 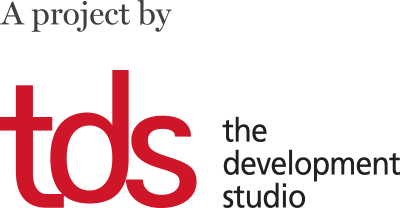 The Development Studio Ltd. may regularly review the website and where appropriate will update pages to reflect changed circumstances. Notwithstanding all efforts made by The Development Studio Ltd. to ensure the accuracy of the website, no responsibility or liability is accepted by The Development Studio Ltd. in respect of any use or reference to the website in connection with any matter or action taken following such use or reference or for any inaccuracies, omissions, mis-statements or errors in the said material, or for any economic or other loss which may be directly or indirectly sustained by any visitor to the website or other person who obtains access to the material on the website.